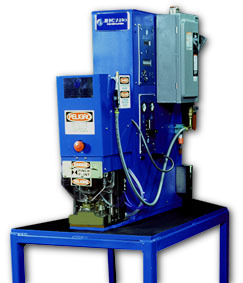 The Model B2S5W is a basic, flexible, modularly designed bench welder. Its flexibility allows the machine to meet any of your applications, and budget requirements. The equipment is reconfigurable, and adaptable to your future projects. Many options are available to enhance the equipment’s function. Dimensions (HWD):	33" x 10" x 30"